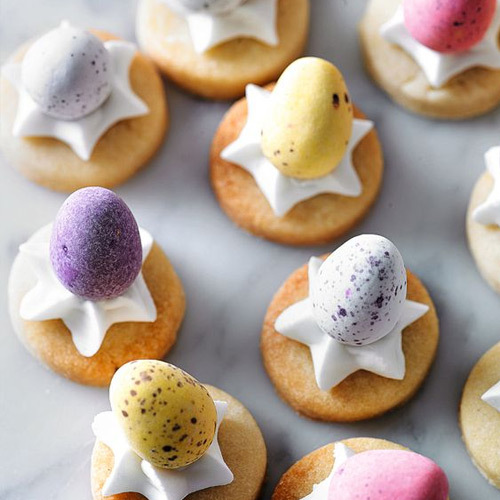 With Easter just around the corner, we’ve curated three seasonal trends that will delight guests and make the Easter Bunny want to set up home. Whether you’re all about the kids or want something a bit more sophisticated, we’ve got eggs and decorations perfect for every taste. A palette of chalky pastels and pretty spring flowers will create an Easter look that’s elegant and grown up. Welcome guests at the door with this stunning pearlescent wreath. Create a vibrant look, perfect for the kids, with bright colours and whimsical motifs. Create a fun, Easter Egg hunt with these marbled eggs and cute felt basket. 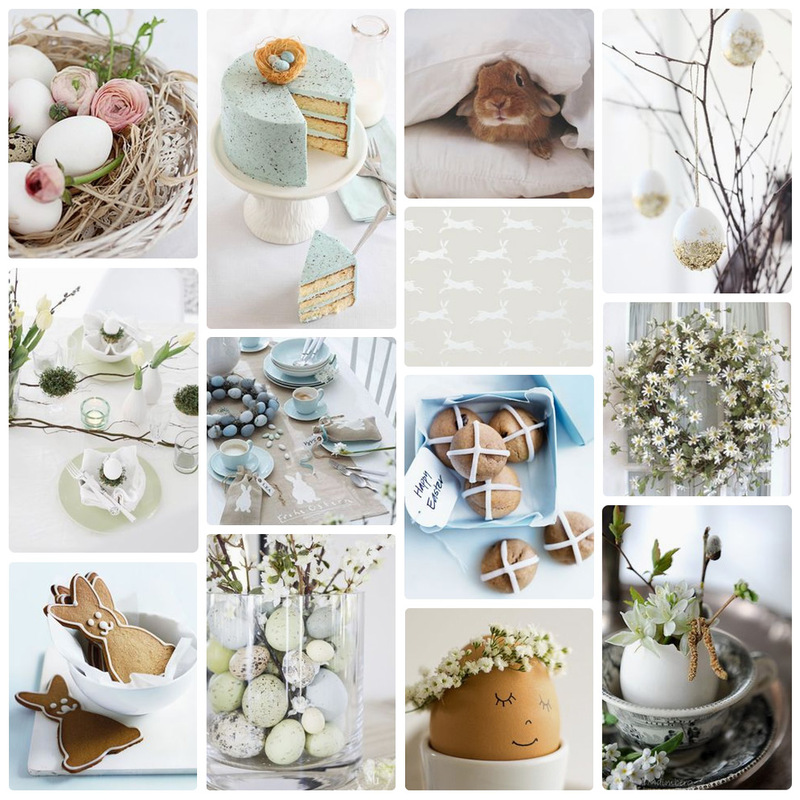 If your style is Scandi-inspired, you can take this aesthetic and apply it to your Easter décor. Stick to a palette of grey, white and brown and choose natural textures and motifs. 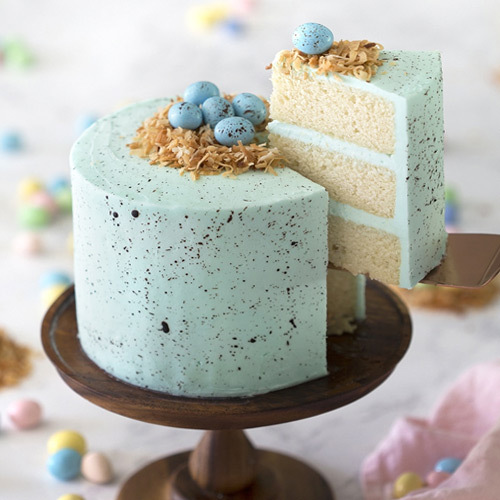 Inspired by Robin’s Eggs, this delicious vanilla cake is a soft blue hue with chocolate speckles. You can find the recipe for this stunning cake on the ‘Preppy Kitchen’ blog. 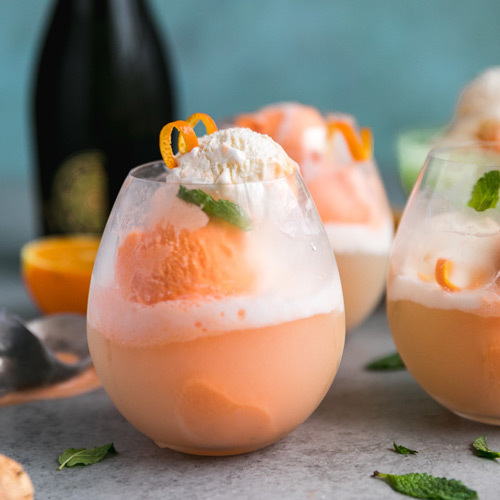 A decadent springtime concoction of prosecco, sorbet and ice cream. A sherbet explosion! Make your own by following ‘Spices in my DNA’ simple recipe. A seasonal take on a favourite party biscuit. Perfect for a mini Easter treat. Find the easy-to-make recipe on the Waitrose website. For more Easter inspiration and tips on how to celebrate the season in style, head to Pinterest and explore our ‘Easter Elegance’ pinboard. Make sure to follow us for weekly doses of inspiring interiors.